(SPOT.ph) Going loco for tacos? Southerners, Taco Bell is finally opening a branch in Alabang. The California taco chain will open tomorrow, November 13, at Alabang Town Center, Muntinlupa City. 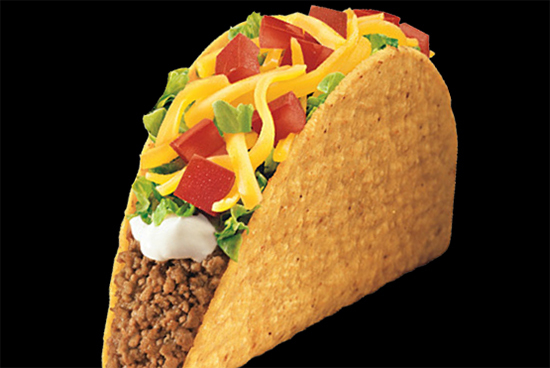 To reward excited fans, the first 100 customers will be given a free taco, plus Taco Bell merchandise. Queuing starts before the mall opens, which, according to ATC's Facebook post, is 10 a.m. The line will be at the Madrigal Avenue entrance. Taco Bell does not specify what kind of taco will be on the house, but we're hoping it's a good one. Apart from Taco Bell, other recent openings at ATC include 8 Cuts and Rita's Italian Ice.